The Jim Henson Company now confirms what millions of internet fans have speculated: the Company is in development on a full-length feature about the Fraggles, stars of the 1980’s television show “Fraggle Rock.” The announcement was made today by Lisa Henson who serves as co-CEO of The Jim Henson Company with her brother Brian Henson. The untitled film will for the first time take Gobo, Wembley, Mokey, Boober and Red on an adventure outside of Fraggle Rock where they will interact with the strange beings in “outer space” (also known as humans). The treatment is being written by author Ahmet Zappa (The Monstrous Memoirs of a Mighty McFearless) who will also executive produce the project with Brian Henson and Jason Lust. Lisa Henson will produce. 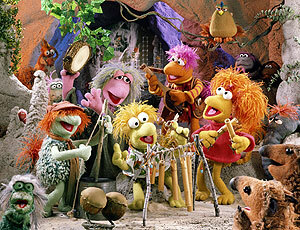 Order Fraggle Rock Season 2 for 30% off the regular price. 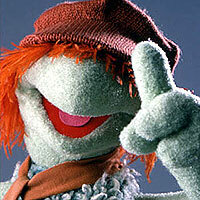 “Fraggle Rock” premiered on HBO in 1983 and over five seasons garnered multiple awards and a global fan following. The show was created by Jim Henson as an international co-production and was adapted for each territory to meet the needs of its audience. By showing cooperation and conflict resolution among the different inhabitants of the Rock (the Fraggles, the Doozers and the Gorgs), the show taught the concepts of mutual respect and peace. Recently, devoted fans petitioned online for a DVD release of the series. The season one box set exceeded expectations and its incredibly strong consumer response led to the successful season two release.